This way you're paying 15 cents a transaction, wouldn't it be better to just go to a gas station and drip some gas? I don't think that's smart. Many have reported that the charges must be a significant amount, maybe more than a dollar. Just buy 5 20 oz. sodas and stop trying to make a big deal. It's more of a big deal what I had to go through after trying this at gas stations with 30 cents and not having the transactions go through because they got a fraud alert placed on my account. Huge hassle. It's more of a big deal what I had to go through after trying this at gas stations with 30 cents and not having the transactions go through because they got a fraud alert placed on my account. Huge hassle. Never happened on my Chase accounts. I did go through this with my Citi cards when I made two gas purchases at two different places on the same day. Anyone else? I get the same look everytime from the clerk in the gas station! Can I have a soda please swipe, oho I forgot I need nuts(the 55cent pack)swipe, you know I can still use a vitamin water Swipe, & can I have another pack of nuts? To clarify, I don't do more then two squeezes of gas at the same gas station - on the same day - on the same card. Most gas stations (at least in CLE) cut you off at 2 or 3 gas transactions on the same card. I'd have to search for the thread, but I think I did 18 gas transactions at Sam's Club in 1 shot before it triggered a Chase fraud alert. but to buy 5 20oz sodas each month gets expensive! has anyone used this for transactions to self? (1 cent swipes for debit cards or to hit spending thresholds at %3 loss)? I don't think that's smart. Many have reported that the charges must be a significant amount, maybe more than a dollar. 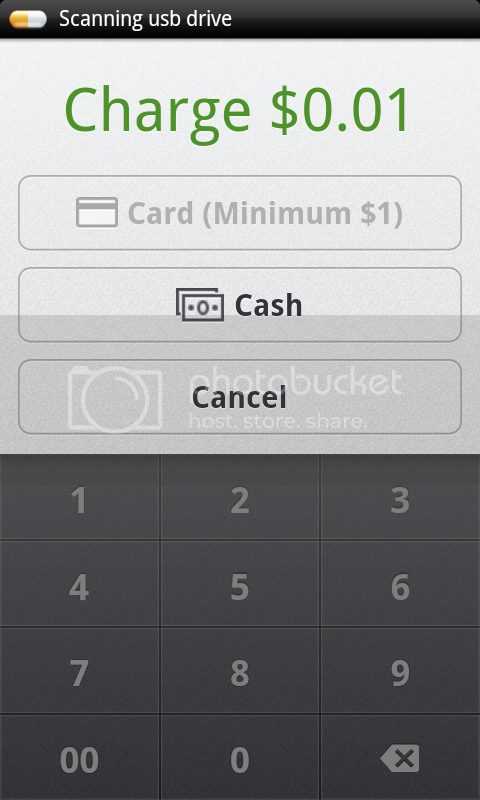 Any amount I enter under $1 gives me "min.$1 for card".